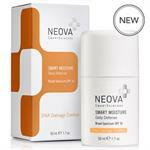 Neova brings true innovation to the skincare industry as the first clinical brand to address photoaging with Copper Peptide Complex technology products. 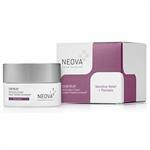 Neova is backed by solid research and clinically proven ingredients. The association between premature aging of the skin and DNA damage inspired the Neova Skin Care pioneering team to introduce Neova DNA and Neova Copper technologies for complete and continuing skin repair. These award-winning Neova copper products target photodamaged skin and offer clinically proven, visible improvements. DrSkinSpa.com is an Authorized Retailer of Neova. All Products are Guaranteed Authentic & Fresh. Where the signs of aging were once attributed solely to chronological age, science now recognizes that many skin changes result from DNA damage caused by UV radiation from the sun. Signs of photodamage include rough, leathery skin, loose skin, freckles, spider veins, fine lines, wrinkles, dark spots, and uneven skin tone. Not many people know the actual science behind how and why our skin ages. As we get older, our bodies stop producing collagen like they used to. Our skin’s elasticity diminishes and our faces lose the firmness and smoothness that they once had. This accounts for the many lines and wrinkles that people develop as they grow older, and as the years go on, they only become more defined. Your complexion loses that brightness and glow that was there during your youth. It takes a very refined, special, unique formula to correct this process and make your skin soft and supple again. Not many skin care product lines have been able to master this art. Neova , however, has. 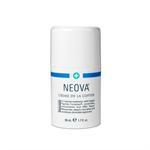 Neova utilizes something that no other skin care brand does: a copper peptide therapy complex. Not many people are familiar with the fact that copper—when used the right way—is highly effective in halting the signs of aging. It aids in helping the skin actually heal itself. It is especially powerful because it’s particularly good at encouraging the production and rehabilitation of collagen and elastin and acting almost as an antioxidant—just what aging skin needs in order to restore itself. Neova has done extensive and thorough research at medical centers all across the globe in order to determine the impact of copper on the human skin. 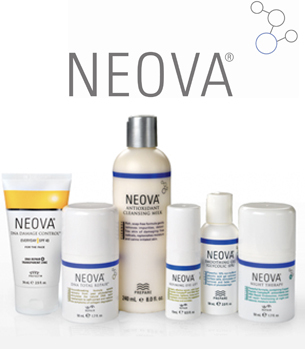 These scientists’ discoveries have made Neova a pioneer in skin (and even hair) care. What exactly can Neova do for you? 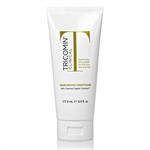 The brand offers a great assortment of formulas for all kinds of skin conditions. 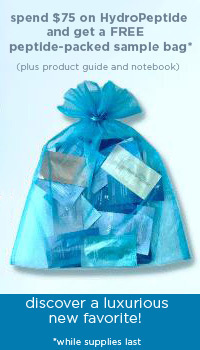 You can choose from a selection of crèmes, cleansers, toners, masks, sunscreens, gels, lotions, and serums. They have products that can be used throughout the day and some that are meant for application at night. Several of the formulas are largely based around retinol, an excellent product for skin care. There are treatments designed specifically for your eyes (that are therefore suitable for the sensitive skin in that area) and many of the formulas take into account people who might be susceptible to skin sensitivities or allergies. 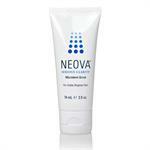 Neova even offers a microdermabrasion scrub! They didn’t stop at skin care, however. 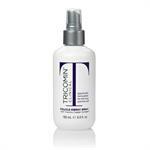 There isalso a selection of shampoos, conditioners, follicle spray, and even eyelash conditioner. It doesn’t matter what your issue is; there’s something here for you! 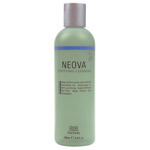 Men and women of all ages, colors, and skin types will surely feel welcomed by Neova . The different mixtures not only heal your skin, but they also teach and help it to protect itself in the future. Proper skin care has numerous parts, including shielding it from further danger. Neova dares you to try and find another brand on the market that employs copper in the manner that they do. No one can do it better. There is a reason that no company has been able to surpass Neova , and that’s because it’s honestly one of a kind. Its unique formulas have brought millions of people all over the world the complexion they’ve always wanted. Scientific studies and information on the benefits of copper date back to the beginning of mankind. Copper, a trace mineral, and DNA repair, play important roles for producing and maintaining healthy skin. Neova copper products offer advanced delivery systems so proteins, enzymes, and vital nutrients can reach their destinations and revitalize the skin. 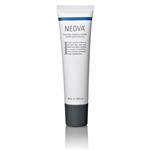 Neova DNA repair systems offer the latest technology; liposome encapsulated DNA repair which helps prevent visible signs of skin damage and aging. 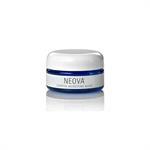 Neova Copper Peptide Complex offers a protective delivery system which allows the body to recognize, then accept, copper into the cells for skin rejuvenation. Recognized on The Today Show with Hoda and Kathie Lee, a leading dermatologist discusses before and after photos of the transformation from sagging skin to firm skin as the result of using Neova DNA Total Repair cream. Dr. Drew Ordon of The Doctors also recommends Neova DNA Total Repair, again with before and after photos proving the ability of Neova DNA to eliminate age spots on his 62 year old patient. 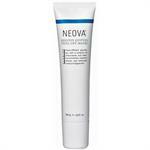 Allure Magazine touts Neova DNA Damage Control Everyday SPF as the product with marine enzymes which decreases fine lines, diminishes age spots, and evens skin tone. 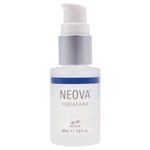 Neova Skin Care is also praised for its anti-aging effects in Vogue Magazine. 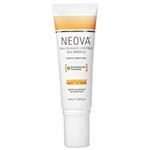 “Neova Skin Care products are unique because they repair damage by targeting the cause, DNA damage, not just the symptoms. Neova Copper-DNA skincare is a doctor-recommended, prominent brand with well-documented results,” stated Dr. Farid Mostamand, founder of DrSkinSpa.com.